Convert an analog signal to digital for PC or HDTV DVI or projectors. Compatible with the DVI DDWG standard. Media entry VGA resolutions up to 1280 x 1024 @ 75 Hz. 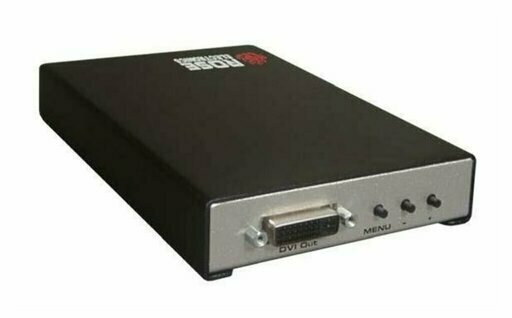 • Converts analog signals to digital DVI format. • To manage resolutions of up to 1920 x 1200 in entry screen. • Resolution up to 2048 x 1080 output. • Supports HDTV resolutions up to 1080 p (input and output). • Often compatible with DDWG. In general, the output format is selectable using the screen of the system. The output resolution can be selected according to the features of the monitor output. The benefits of the VGA/DVI converter. The VGA to DVI converter connects the graphics cards traditional analog video (VGA) to DVI compatible digital monitors. 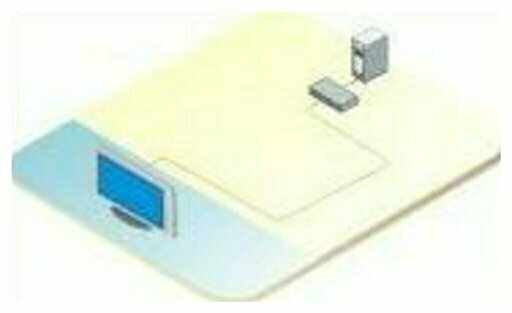 It allows users to connect laptops or PC equipped with a plug VGA video connection to DVI video screens. These converters also support video sources such as DVD player and decoders. Using the settings you can select the output (digital or analog) DVI or DVI D mode. As a general rule, the output resolution can also be selected to provide the resolution needed to the display device. The setting of the picture menu allows to adjust the contrast, brightness, color and saturation of red, green and blue levels. a product designed to take an analog VGA video source and convert DVI digital signal. In general there is need of a facility on the PC, it's usually simple and well done. Please connect the video VGA output of the PC to VGAdu converter input connector, then connect the output on the connecteut DVI the digital screen and turn it on. Often, the menu can be displayed by pressing a button. It allows to adjust the input parameters / output of the installation and settings of the image. There are also automatic adjustment functions.